Here at 200m2 we give our clients all the say in how they want their stand to look and what they want to be included. To aid this process we created our piece of design software called the X-Sketch, this allows our customers to customise and design their stands exactly how they want it. Our modular stands mean that our customers can have greater control over their design and are able to be heavily involved in the process. This software is arguably the easiest piece of exhibition design software out there which means that anyone can use it. Using this software, you can design and redesign your stand until it’s 100% perfect for your business. You can reconfigure the stand yourself using the software which is made into a reality using our range of modular stands. We can create the stand that you design in real life. You have complete flexibility and the freedom to create what you want with no input or all the input you need – whatever will work for you. 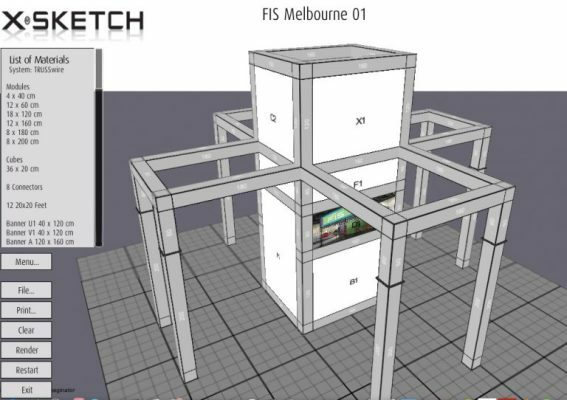 This piece of software can be used as many times as you need to so you are able to redesign your modular stand virtually depending on your exhibition space. This allows you to prepare and plan for every exhibition using this one tool. It is so easy to use and has a very intuitive layout to make this design tool accessible for all of our customers. We think that this piece of software is vital for our customers to use when designing their stands and also when preparing for shows, this is why we do not feel it would be right to charge you for our software. It is completely free to download and is compatible with both windows and mac computers. You can even print off your designs to work from when you are assembling your stand at an exhibition. Why don’t you have a go at designing your very own exhibition stand and see what you can create: Download here. Designing your own exhibition stand is not everyone’s cup of tea and some of you just may not have the time, we will design your stand for you free of charge if you do not want to design it yourselves. The choice is yours and there is no obligation even if we do design it for you! It’s a fact that most children would would prefer a trip to the fun fair over an extra maths lesson! You do not have to be a child psychologist to work this one out! But why? The answer is simply because kids love to be entertained! As we grow into adults, we learn to suppress the constant need for entertainment. BUT… we certainly don’t mind if some fun is brought into our professional lives either. It’s no surprise that the ‘corporate entertainment’ sector is a massively profitable business sector in its own right! The same principles can be applied to your exhibition stands. Keep people entertained and they’ll stay for longer. Keep the experience interesting and visitors to your stand are much more likely to interact with you. Initiating a dialogue on an exhibition can often be the hardest part. Used correctly, technology can unlock people’s interest and start conversations which can lead to long-term business relationships. 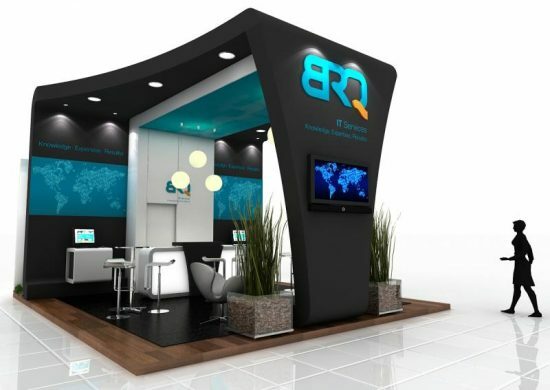 So what is the best way to integrate technology into your exhibition stands? Here are 200m2’s ‘Top Tips’! Now known as augmented reality, the name doesn’t change the fact that this innovative technology could prove highly effective at exhibitions. Augmented reality allows exhibitors to give customers tours and demonstrations of facilities and products that are too big, or noisy, to be able to physically bring to their display stand. Whilst this creates a very memorable experience, this method can also present much more details when compared to traditional charts and product brochures. Is Twitter the best social media platform for exhibitions? Absolutely not! But Twitter is a far more immediate form of social media and it can be extremely engaging. Create your own #hashtag to create a discussion around a particular stand. Exhibitions are fantastic opportunities to unveil products. This is because there is already an air of excitement surrounding major events and exhibitions. Capitalise on this opportunity by creating mobile apps that people visiting a stand can download. Aside from offering information and promotions, companies can use mobile platforms for future marketing efforts. 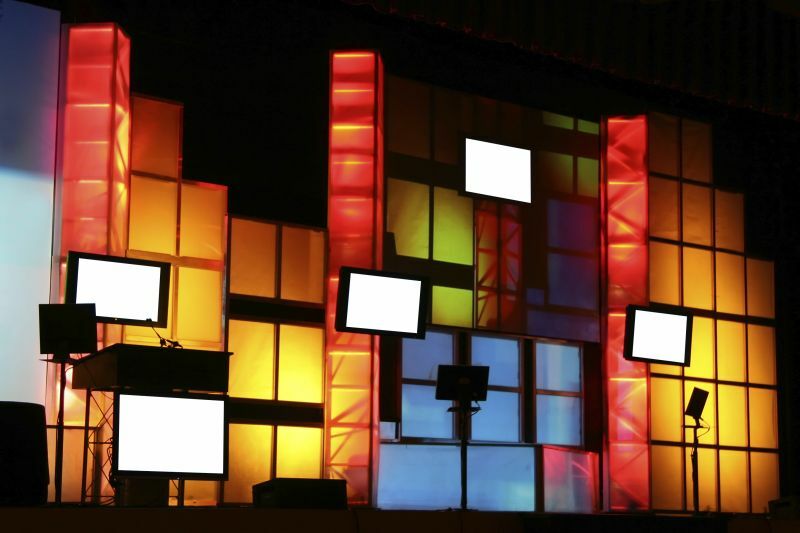 Using large electronic screens to display animated logos is not only useful for catching people’s eyes. The screens can be used for a variety of other purposes. If the products on your exhibition stand require explanation, you can use screens for presentations. You might also want to use the screens to display information via the company’s website, blog etc. If there is a large amount of attention surrounding your display, you can retain the interest of people on the outskirts of the crowd by showing interesting video content on your display screens. This can be footage that was shot prior to the event, feature interviews or event product demonstrations. If you like the idea of using technology to appeal to people’s inate need for excitement, 200m2 can certainly help. For more information, give us a call on +44 (0)20 333 200 92. Author AndrewPosted on March 15, 2017 Categories TechnologyLeave a comment on Exhibition Stand Technology! In 2016, more and more exhibitors have invested in technological innovations to drive engagement on their exhibition stands. It has also given marketers the chance to trial new engagement tools that would not have been thought possible only a few of years ago. Here are some of the latest technologies to consider integrating into your exhibition stands! Advertising your brand at a trade show is imperative, but branding is useless if you aren’t properly explaining what you do. Interactive walls, floors or screens can engage visitors by allowing them to quickly understand your business and quickly connect with your products or services. You can also reduce the need for repetitive sales messaging through the use of interactive technology. Interactive screens can display vital information using eye-catching graphics, images or videos. These can be used to engage with numerous customers simultaneously. Augmented reality enables us to overlay computer-generated graphics on top of images of the real world. It includes scanning the real-world environment and enhancing it by adding virtual information. Why is this important? Well, it gives us a chance to show how things could look in the future; it’s a chance to provide a glimse of a better more advanced world. Quick response (QR) codes offer fast and reliable links to your website, online material or mobile apps. QR codes are immediately saved on the mobile device’s memory so that the user can return to your information after the event. Triggered technology can transform an exhibition stand into an attraction. Light, sound, video and special effects can all be good attention-grabbers, particularly when triggered by visitor action such as walking past a sensor for example. Using multiple senses is proven to evoke emotionally charged memories, making your brand more memorable. As one of Europe’s leaders in exhibition stand design, we regularly work with our clients to adopt new exhibition technologies. Contact us on 020 333 200 92 to find out more. Exhibition Stand Wi-Fi: The key to success? Already the world’s largest technology show, the three-day Consumer Electronics Show (CES) 2016 in Las Vegas will be the biggest in the event’s 49-year history. Over 150,000 people are expected from 150 countries. The theme of CES 2016 seems to be ‘smart’ everything. Think ‘smart’ and it seems you will find it everywhere: smart scales, smart thermometers, smart suit steamers, smart pill packs, smart ski jackets, and the world’s first smart shoe, the Digitsole. It seems that the world is set to run and be controlled by the smart phone. Very soon we will even be able to control smart cameras in our fridges. Never again will we have to wonder whether we have run out of milk! However, one thing underpins all this technology and that is the ability to transmit and receive data. And in most cases this means Wi-Fi. 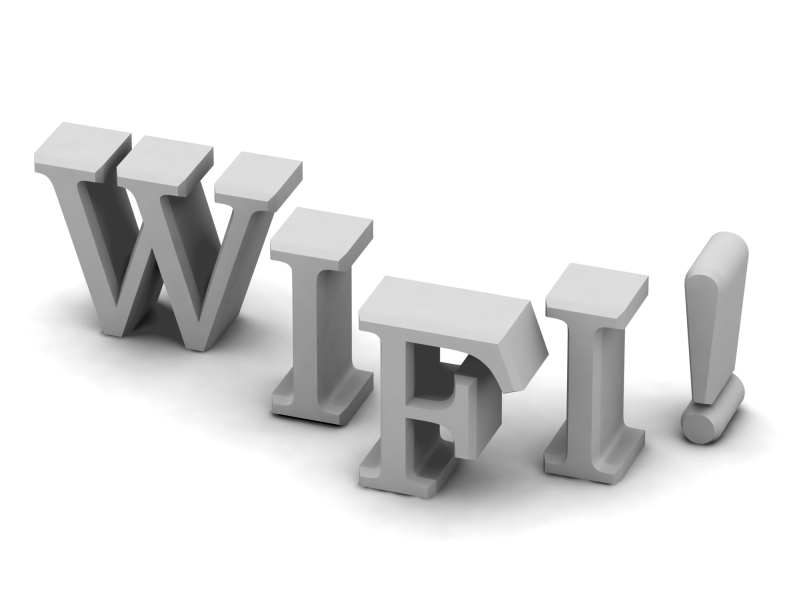 Logically therefore, every single exhibition stand at CES 2016 is going to be totally dependent on the Wi-Fi infrastructure within the exhibition hall. Without reliable Wi-Fi, exhibitors will not be able to effectively demonstrate their products and sales may be lost as a consequence. 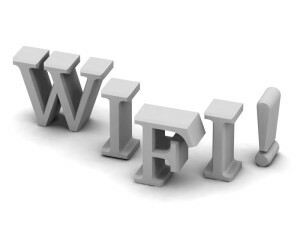 If connectivity is crucial for the success of your next exhibition, make sure you ask the organisers about the reliability and track record of their Wi-Fi service. That’s because each time an exhibition hall is built up or broken down, the Wi-Fi signal will be affected as a result. What guarantees can they offer? The alternative is to arrange for your own Wi-Fi service which is completely seperate from the service provided by the ehibition venue. This will give you useful redundancy if the hotspot provided by the venue struggles to cope. As one of the leading exhibition stand contractors in the UK, 200m2 can help ensure your Wi-Fi signal won’t let you down when it really counts. To discuss this or an other aspect of your exhibition stand programme, please call us on 020 333 200 92. Author AndrewPosted on October 19, 2016 Categories TechnologyLeave a comment on Exhibition Stand Wi-Fi: The key to success?